Cada cápsula del Super Cell Protector™ contiene 12 minerales patentados y el protector celular súper antioxidante OPC, extraído de la semilla de uva. * INSTRUCCIONES: Tomar tres cápsulas al día o según lo que indique su profesional de la salud. 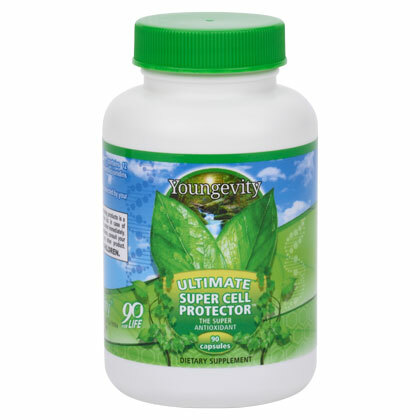 Each capsule Supercell Protector contains 12 patented mineral and super antioxidant cell protective OPC extracted from grape seed. * Antioxidants can help prevent cellular damage caused by free radicals (highly reactive molecules that can damage the function cell phone). DIRECTIONS: Take three capsules a day or as directed by your health care professional. WARNING: Accidental overdose of iron-containing products is a leading cause of fatal poisoning in children under six years. In case of accidental overdose, call a doctor or poison control center immediately. If you are pregnant, nursing, or taking any medications, consult your doctor before using this product. KEEP OUT OF THE REACH OF CHILDREN.